The GRC Technology Solutions Guide defines categories of technology that support the GRC systems and specifically the elements of the GRC Capability Model. The GRC Technology Solutions Guide will help you design a technology architecture to enable GRC capabilities including governance systems, strategy systems, risk management systems, policy management systems, compliance systems and more. With an understanding of these relationships, GRC and Technology professionals can use the GRC Technology Guide to better understand and enable technology support for GRC. 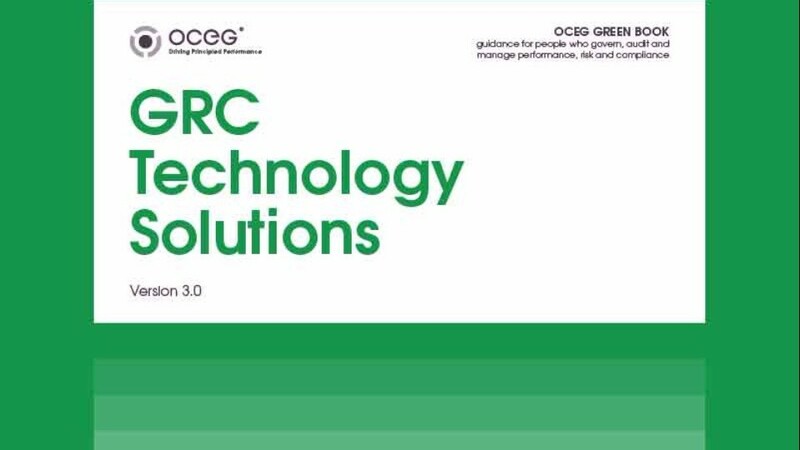 We have emailed instructions to access GRC Technology Solutions Guide to . Make sure the email arrives in your inbox: either add "support@oceg.org" as a safe sender to your email platform, or if you use Gmail, drag our email into your Primary tab.